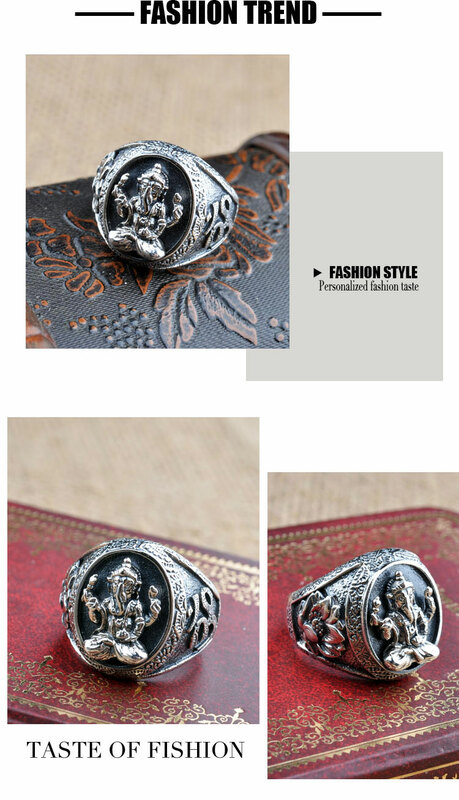 Handmade Tibetan 925 Silver Fortune Buddha Ganesh Buddha RingMan Ring. This tibetan fortune buddha ring was handmade by the Tibetan craftsman in Thailand from sterling silver. The ring was engraved with lotus and om symbols.